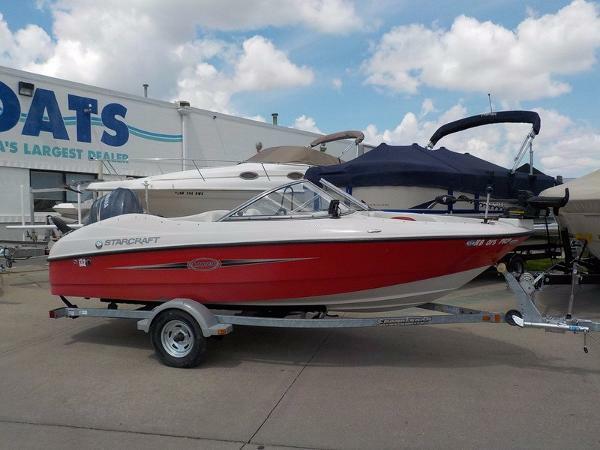 2008 Starcraft 1700 FNS JUST ARRIVED! 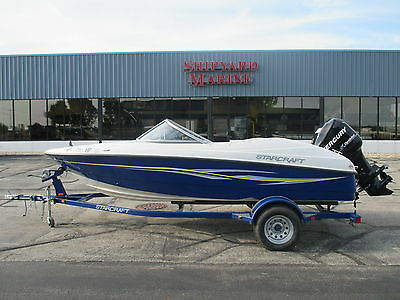 2008 Starcraft 1700 FNS 2008 Starcraft 1700FNS Fish and Ski bowrider with Yamaha 115hp four stroke EFI outboard and brand new 2017 Shorelandr SLB22L galvanized single axle bunk trailer with swing tongue. Includes fishing package. 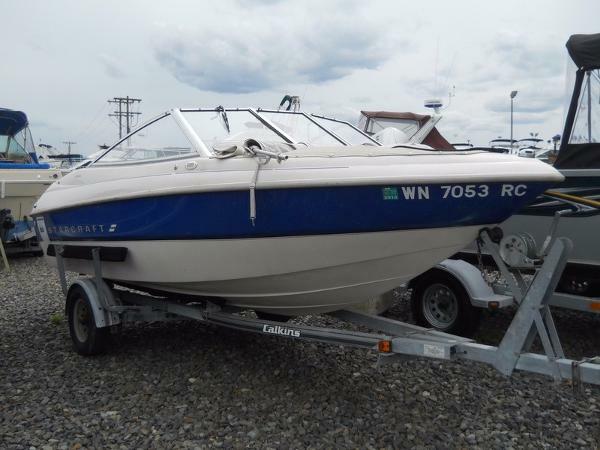 1994 Starcraft 1700 Bowrider. 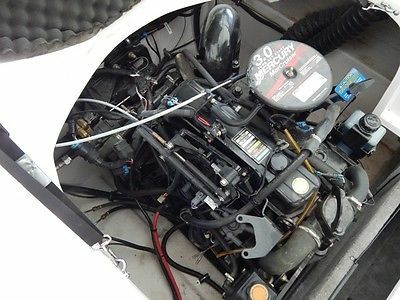 90 Horse Mercury Outboard. Starcraft Trailer. 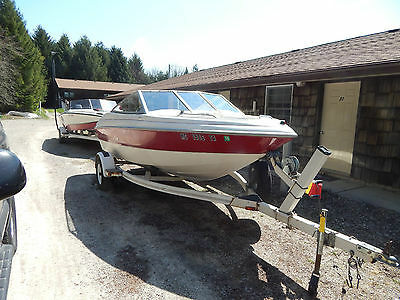 MerCruiser 3.0L 4cyl. Weight capacity is 8 adults or 1200 pounds (people and gear). Low number of hours used, estimated <200. Trailer tires have good tread and little wear. One owner. 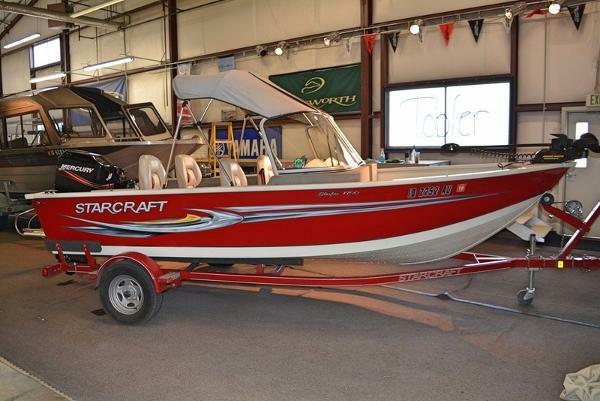 Freshwater use only.Excellent boat for fun (skiing or tubing) or fishing. Bow converts from cushioned seating to fishing platform moving one rear seat to pedestal pole. 2nd rear seat can go to fishing pedestal pole in center of aft motor cowling. 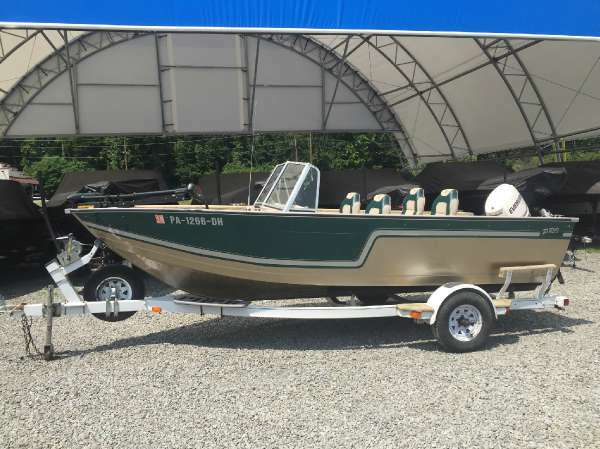 Owner selling due to health problems and cannot enjoy/handle putting boat in and out of water.Original equipment includes: Bow mounted Minn KotaTrolling motor (with quick release bracket) and foot pedal control; Lowrance X50DS Fish-Finding Sonar; 4 seats (2 of which can be mounted on posts at center of aft engine cover and center of bow + floor insert); 2 vinyl pads for open bow seating; Seaworthy AM/FM Radio (4x40 Watts max.) 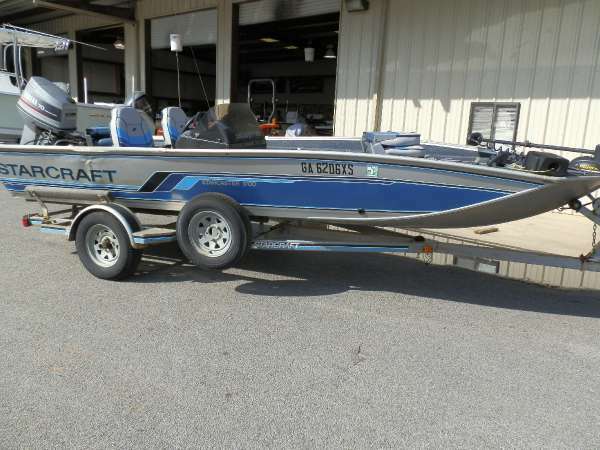 with MP3/Aux in jack; mounting for 2nd battery; live well; boarding ladder; side racks for fishing pole storage; Gauges include: Fuel, RPM, MPH, Voltmeter, Trim & Temperature. 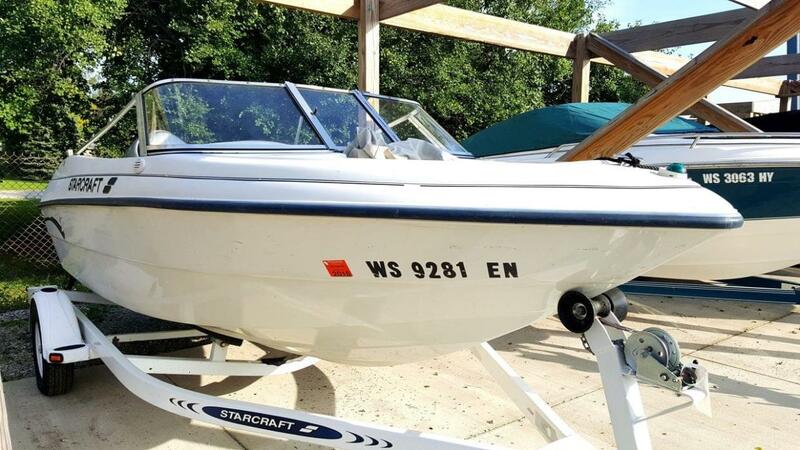 Switches included: Nav Anc, Bilge Pump, Blower, Court lights, Horn & Live well; Manuals for : Mercury MerCruiser; Fish-Finding Sonar; Humminbird Depth Finder; SeaWorthy Audio System. 23 gallon gasoline tank capacity. RPM Max 4400. Prop pitch: 17; Stroke: 4. 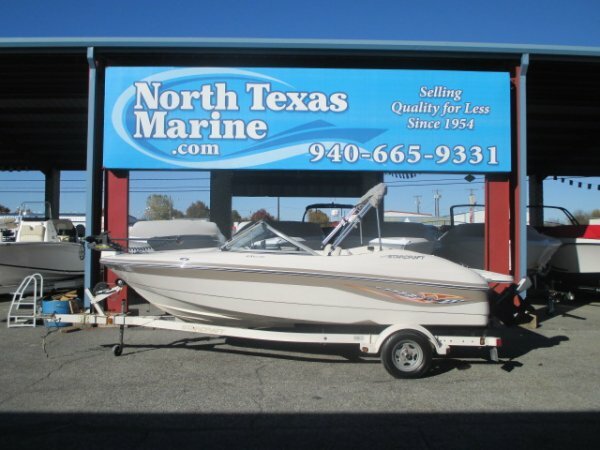 Additional equipment included in sale: Humminbird (HDR 610) Depth finder (mounted next to gauges); Claw Style Anchor; 5' vinyl covered chain; 150' 3/8" nylon rope; Screw-type beach anchor and 50' vinyl line; Solox Tube (never been used) and tow rope; 2 Bumpers rope weaved for 2 stainless steel fender locks; 2 20' tie up ropes; air horn; flares; fire extinguisher; 2 oars; PFD's for 6 adults and 2 children: one adult oversize (chest 52=62"), two adult XL (chest size 44-48"), one adult L (chest size 40-44"), one adult M (chest size 36-40"), one child & one youth; Extra new propeller; New boat cover.